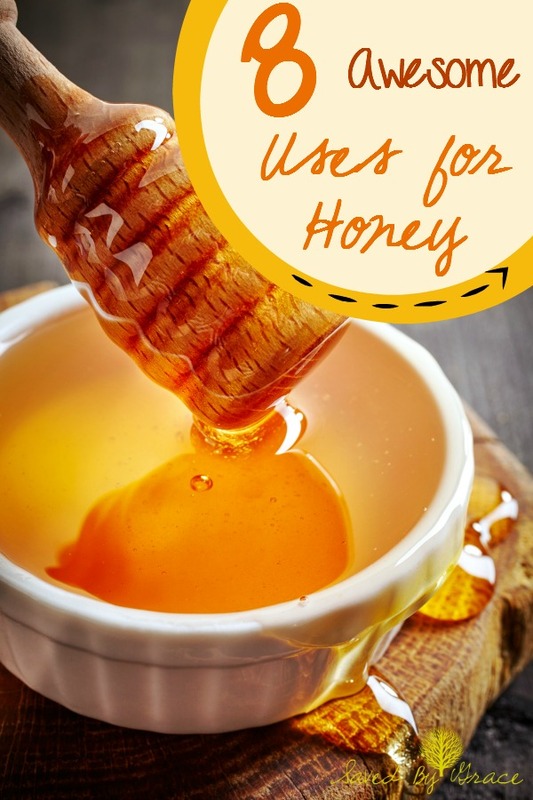 Uses for Honey That Will Sweeten Your Life- Check out these 8 uses for honey in health and beauty! Honey has some surprising uses other than just using in your tea or as a sweet topping on your warm biscuits. Did you know that the “Queen of beauty” (no pun intended), Cleopatra used it for her beauty routine? Honey is made from the nectar of plants (which determines slight differences in taste) by a process of the bees regurgitating and evaporating. (Yes, honey is, essentially “bee spit/vomit”). Bees make it as their primary source of food. 1. Use it to quiet coughs. Ever wonder why so many cough drops now contain honey? Honey works to quiet coughs in an amazing way. Try just swallowing a teaspoonful next time you have a raging cough or sore throat. 2. Try adding a dab to a pimple. Some people say it actually helps clear the pimple by clearing up the bacteria causing it. 3. Try moisturizing your skin with it. Dry heels in the winter can use a boost from honey. Just coat them and leave on for a half an hour and rinse off. 4. Use Honey to help burns find relief. This also helps speed up healing. 5. Try using honey with oil on your dry ends of your hair. Leave in for a bit and rinse out. I have never tried this, but I heard it can work wonders on dry, frizzy hair. 6. Did you know honey can work as an energy boost? Try a tablespoonful next time you feel the energy draining from you. 7. If you found that you had too much champagne the night before, try some honey to cure that morning crud. 8. Honey may help ward off seasonal allergies. Some people swear that if you consume a tablespoon of honey that is local to where you are (from bees no further than about 30 or 40 miles away) each day leading into allergy season that you may actually lower your amount of symptoms associated with it. *please note that I am not a doctor or medical professional. This post and the information contained within is for informational/entertainment purposes only and is not meant to diagnose, cure or treat any illness.